Amphetamines are stimulants that act upon the Central Nervous System (CNS) to produce a euphoric effect that includes heightened energy, elevated mood and increased alertness. Amphetamines have the potential to cause both psychological and physical addiction when they are repeated used or when they are abused. Have you ever asked the question, “what are amphetamines?” Have you ever wondered how amphetamines are used? Many people wonder what amphetamines are and exactly how they are used. The common answer is, that amphetamines are a stimulant that are widely used in the treatment of deficit disorders and narcolepsy as well as weight loss. Various amphetamines exist and are used for medical purposes such as to control attention disorders or to help a person who has narcolepsy to stay awake despite the sleep disorder. 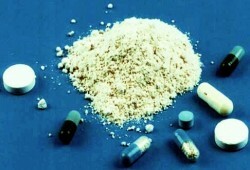 Amphetamines is a treatment used for different conditions. Various effects can be felt when a user takes amphetamines or amphetamine containing drugs. For those who suffer from attention deficit hyperactivity disorder (ADHD) which often makes it difficult for the individual to stay focused, amphetamines can have a calming effect that allows them to focus more clearly. For those who do not have trouble with attention deficit, the effects can be heightened. Amphetamines are used for a variety of purposes medically and they may be used recreationally as well. In the medical field, amphetamines are used to treat obesity, narcolepsy and ADHD. On the street, amphetamines are used to stay awake, feel superior and reduce fatigue. Many college students report using amphetamines during long study sessions so that they can focus more clearly and stay awake for extended hours to study for major tests or exams.